A place where people share land, tips, and ideas about all things tiny. Sounds pretty good, right? 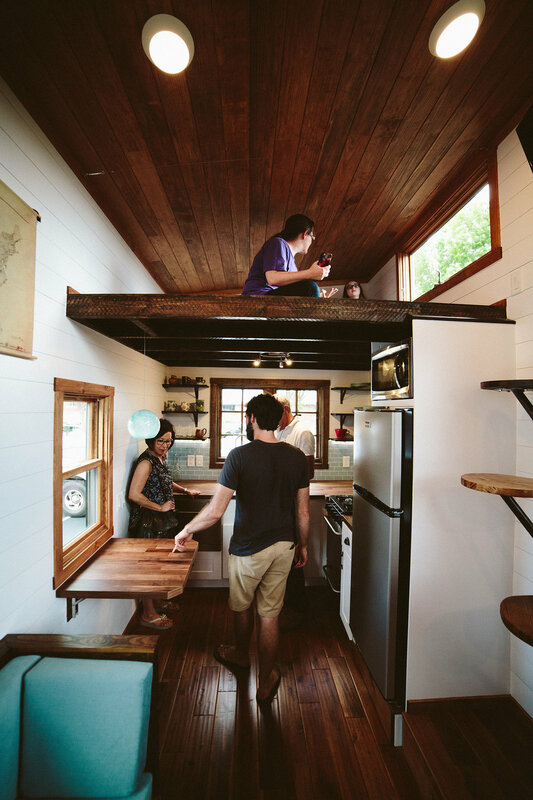 Tiny house communities create a place where people can coexist in their tiny homes. As the tiny house movement continues to grow, we’ve see an increase in the demand for tiny house communities. Although tiny houses are said to have originated out west, the east coast is also contributing its fair share to the movement. Take a look at these tiny house communities on the east coast that are leading the charge in tiny living. This tiny house community opened in April of 2018, and currently has nearly 20 homes available for rent. There are also permanent leases available and construction is underway for additional space. It's size makes it one of the biggest tiny home communities in North America. The location is conveniently located close to Hershey (yes, the chocolate), Lancaster, and Harrisburg. Despite being in a fairly rural setting, Uber and Lyft are available for guests without vehicles. Currently, there are no RV certification or insurance requirements. Currently a waiting list for a 6 month lease on a plot of land. This revitalized 1950s RV park is situated a mere 7 minutes drive from Downtown Orlando, and only 20 minutes from the theme parks we all know and love. The property itself boasts beautiful lakefront views, fishing docks, and a park for pets to play. A the moment, Orlando Lakefront is home to 21 tiny houses on wheels and 2 tiny houses on foundations. There is currently a waiting list to become a full-time resident. This tiny house community is bringing people back to nature in their private sanctuary in the woods. The area is ideal for anyone who enjoys outdoor activities like hiking or fishing. If hanging out around a campfire is more your speed, there’s plenty of that too! Little River Escape is one of three adjacent tiny house communities that sit atop Georgia’s Lookout Mountain. Plenty of lots are available for purchase on their two sister properties, however, Little River Escape offers a 5 year lease agreement with plenty of community perks. Community Member Ages: 4 residents in their mid 50s - early 60s, 3 couples in their 40s with teenage kids. If living in a tiny house community interests you, then any of the three above options are a top choice. Each of these communities permit tiny home owners to bring their own tiny house into the community. One of the perks of contracting a tiny house builder is that you can customize your tiny house to suit your lifestyle and needs. By contracting an experienced builder like Wind River Tiny Homes, you can be sure your tiny house is built to the standards required by the community you wish to call home. Want to join a tiny house community? Wind River Tiny Homes can help. Bio: Molli is a U.S. citizen currently living in Cape Town, South Africa. Aside from writing about tiny houses, Molli loves to be at the beach and eat food (often at the same time). As an avid surfer and beach-goer, she does her best to promote a sustainable way of living.